Mark Anthony, medium and psychic lawyer, relays messages from spirits to their loved ones in this remarkable exploration of life after death. Answering frequent questions about the afterlife- what is it like, what happens to murder victims and suicides, can my loved ones hear me-Evidence of Eternity is filled with inspiring true stories. 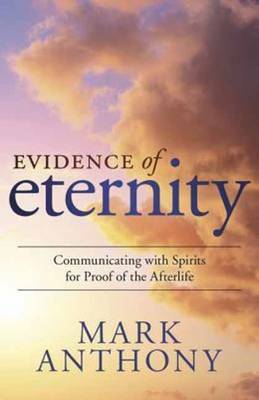 Featuring comforting accounts of spirit communication, Evidence of Eternity also explains Mark's ability to contact those on the other side. Accompanied by credible evidence and theories from Mark's own research, these stories prove that your beloved family and friends do live on forever.